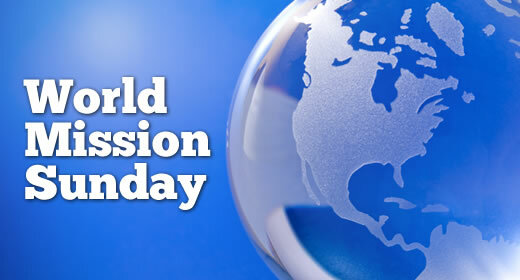 Our liturgical celebrations this weekend mark World Mission Sunday, an annual event in the life of the Church. But in one sense, every Sunday is a “mission Sunday.” At the end of each Mass, we are told to go and serve the Lord. This is one of the oldest works of the Church: to go out and proclaim the Good News, in word and deed. What changes is only the context. We have exchanged our sandals and walking sticks for smart phones and social media. The false gods we battle have also changed — instead of the pantheons of the Greeks and Romans, we now have the gods of consumerism, mass entertainment, an aggressive secularism and over-weaning sense of personal liberty. Today’s mission territory has numerous faces. Believe it or not, there are still many parts of the world — including in Canada — where the Good News is very much “news” in the literal sense. In some places, just being Christian is an act of extreme bravery, exposing one to danger, even death. In others, a different type of courage is needed: that needed to face ridicule, suspicion or being ostracized by others. Canada’s “mission territories” are aided financially by Catholics across the country through Catholic Missions in Canada. There are also global missions of the Church, helped financially through collections at Sunday Mass this weekend.